Motorola Moto G series is now up to soon reveal its 7th generation devices, but ahead of official reveal which set for February this year, the device is in several leaks and renders since last year. Now a very recent leak fully showed its official Prices in Brazil. Moto G7 Plus: Moto G7 Plus sports a 6.2 inch FHD Display with Corning Gorilla Glass 4 protection on top. The device comes with stock Android 9.0 (Pie), it is powered by Octa-core 1.8 GHz Snapdragon 636 SoC. In memory department it offers 4/6 GB of RAM and 64/128 GB of Storage. This device sport dual 16+5 MP rear cameras and single 8MP camera for selfies, there is a 3000mAh battery juices this device, it also offers 27W Turbo charger out-of-the-box. According to the Leak Moto G7 Plus is priced at 1,899 reais (Rs 36,000 Approx.) Overpriced! Moto G7 Play: Moto G7 Plus sports a 5.7 inch 19:9 ratio HD Display. The device comes with stock Android 9.0 (Pie), it is powered by Octa-core 1.8 GHz Snapdragon 632 SoC. In memory department it offers 2GB of RAM and 32GB of Storage. This device sport single 13MP primary camera and single 8MP camera for selfies, there is a 3000mAh battery juices this device. According to the Leak Moto G7 Play is priced at 999 reais (Rs 20,000 Approx.) Overpriced! Moto G7 Power: Moto G7 Plus sports a 6.2 inch 19:9 ratio HD Display. The device comes with stock Android 9.0 (Pie), it is powered by Octa-core 1.8 GHz Snapdragon 632 SoC. In memory department it offers 2/3/4 GB of RAM and 32/64 GB of Storage. This device sport single 12 MP primary camera and single 8MP camera for selfies, there is a 5000mAh battery that juices this device, it also offers 15W Turbo charger out-of-the-box. According to the Leak Moto G7 Play is priced at 1,299 reais (Rs 25,000 Approx.) Overpriced! 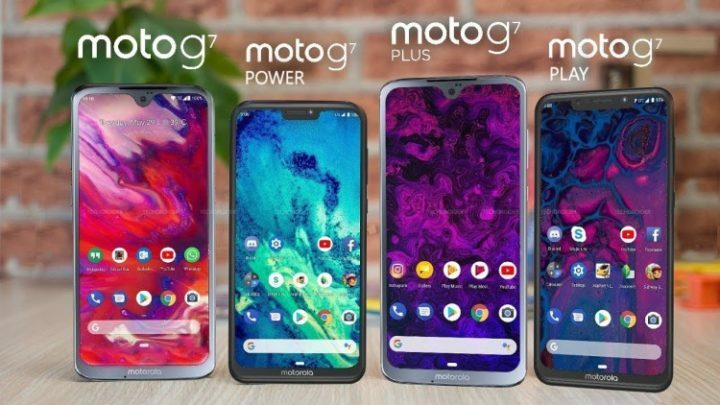 All Moto G7 devices seems a bit overpriced as of now, but the original pricing may differ, so we may discuss more on that later, What do you think of Moto G7 devices? Comment below your thoughts and stay tuned with Alloftop for updates.